On Monday, Chinese scientists published a paper heralding a truly remarkable feat: Using the genome-editing technique CRISPR, they created 12 healthy pigs with about 24 percent less body fat than usual. The implications of their research is potentially huge. 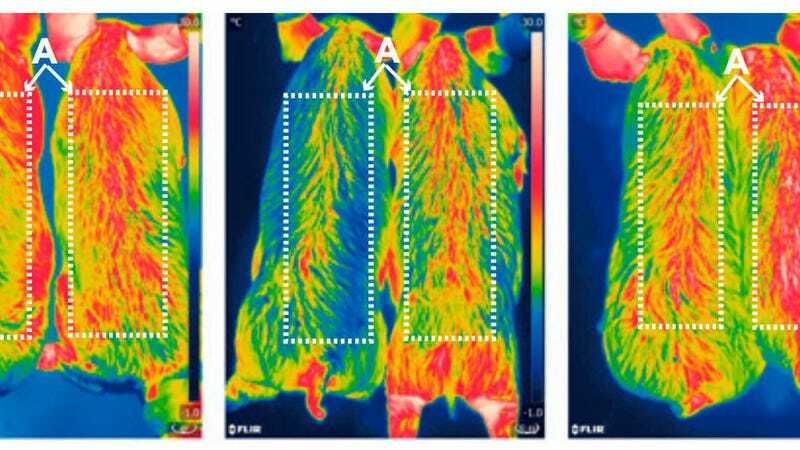 The pigs have a gene that allows them to better regulate body temperature by burning up fat, which could save farmers millions in heating and feeding costs and prevent little piggies from suffering and dying in the cold. “CRISPR’d pigs could produce low-fat bacon,” said TechCrunch. “Scientists edited pig genes and accidentally made bacon healthier,” BGR exclaimed. Here’s the thing, though: Scientists have not created a diet bacon product. Bacon is not and will never be healthy. What makes bacon sizzle and crisp in a pan is fat. Not to mention that, fat aside, bacon contains almost half the recommended daily amount of salt and often nitrates to preserve shelf life and enhance color. Not exactly the picture of health. The Chinese scientists did engineer a pig that will have more lean meat than typical pigs, which may be better for farmers looking to sell to conscious consumers. But there are already leaner cuts of bacon available in any grocery store. And, as The Wall Street Journal reported earlier this year, when it comes to pigs, Americans are leaning towards fattier meat, rather than leaner. As any bacon lover will tell you, leaner bacon just doesn’t fry up properly in a pan. Short of engineering less fatty fat, it’s unlikely the diet bacon will be a thing, well, ever. If you’re looking for a healthier breakfast option, the best route doesn’t require any genetic engineering at all: Just lay off the bacon.